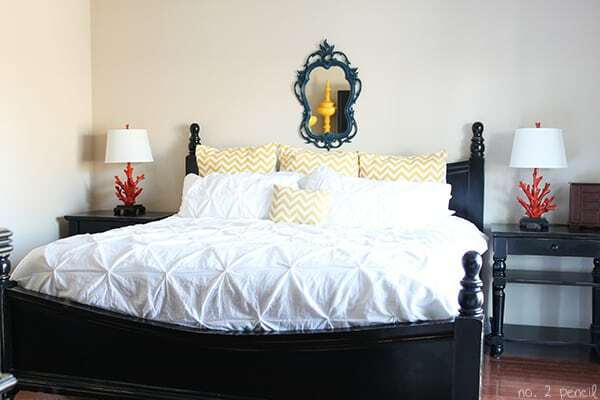 Just in time for the holidays, our mini makeover in the master bedroom is finished. You can see part one of this update here. I’m excited to have the chance to update a space just for my husband and myself. This is the before space. I like the neutral wall color. but I was ready to try something different. We didn’t have a big budget since Christmas is just around the corner. Plus, two out of three of our kids have birthdays during the holidays! So with the help of Glidden’s My Colortopia, we decided to update the room with a bold accent wall in Glidden’s Rich Navy. See my previous post for screen shots of a few color choices we checked out! I’m so thrilled with the result! What a difference a gallon of paint makes! 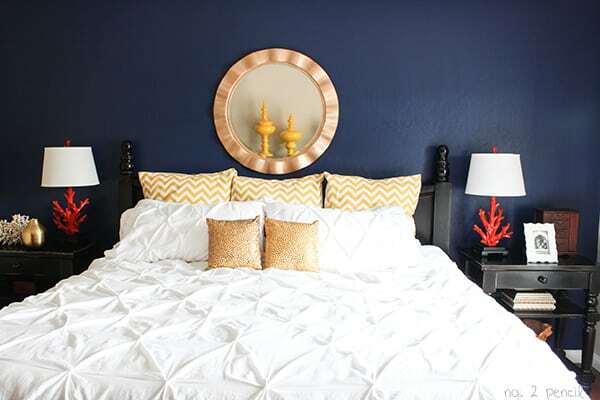 We left the rest of the walls as is, and painted the wall behind out bed Rich Navy. I love how the gold , yellow and orange pop off the blue. 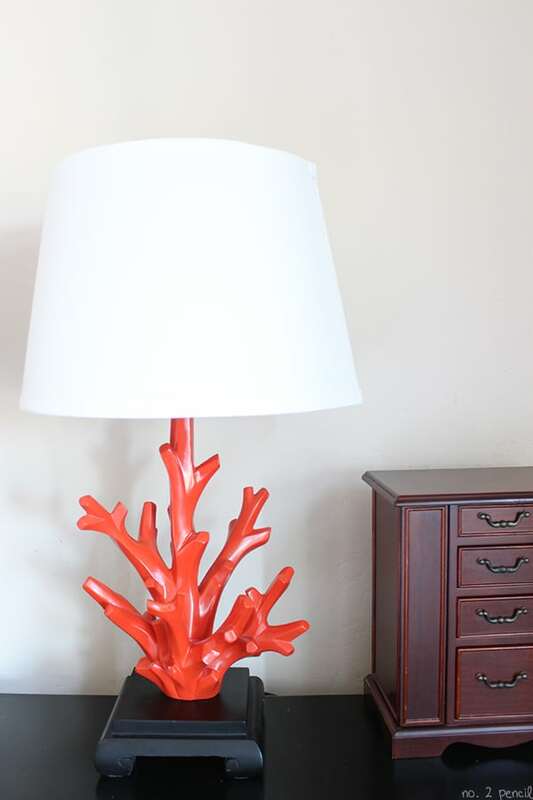 We used Glidden’s Duo paint, which is a paint and primer in one. This is the third room we have used Duo in, and we are so happy with the results. In a dark color like Rich Navy, two coats gave us complete coverage. I kept the same bedding and Euro pillows covers. 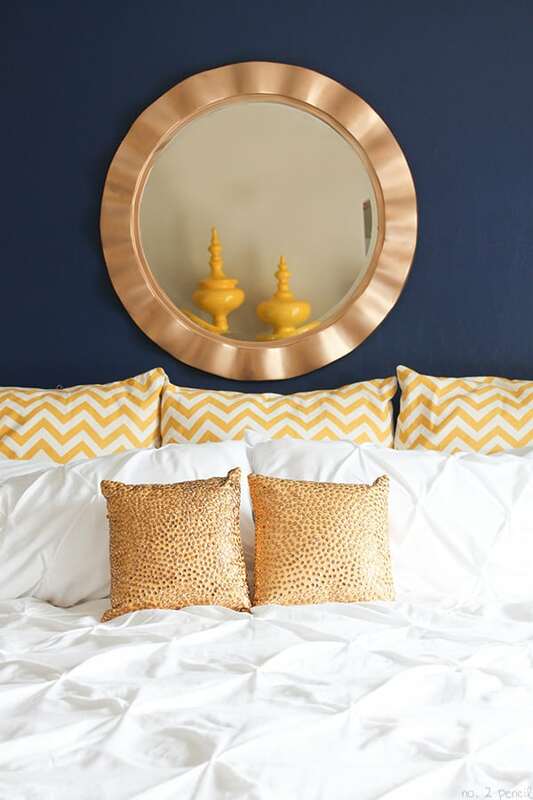 I spray painted a mirror I found on clearance at Home Goods and added two gold accent pillows, also from Home Goods. For the rest of the accessories, I just pulled from the rest of our house. 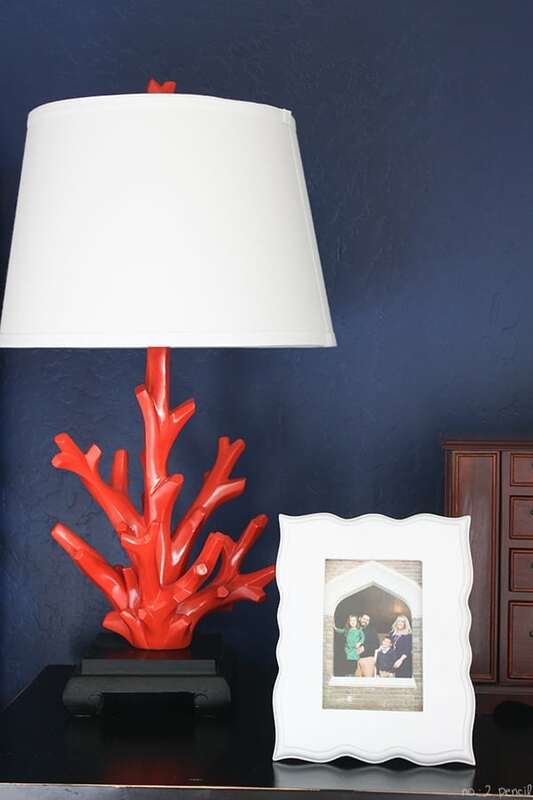 The coral lamps are are my favorite pieces in the room, and I LOVE how they look against the navy blue paint. Thank you Glidden for sponsoring this post and giving me the opportunity to update our space! 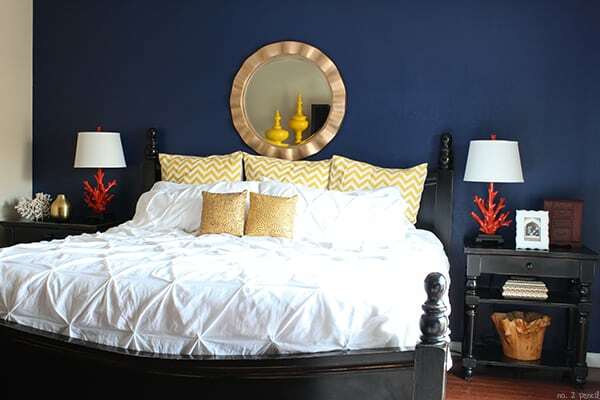 If you are updating a space in your room, I recommend trying the color tools from Glidden. Even if you aren’t updating, it’s fun to play around! It’s the best way to see what a can of paint can do!